The Wangaratta 4×4 Club has evolved from a few members in 1983 to a membership of over 80. The club is financially independent and is proud to be a family club with members ages ranging from newborn to much more experienced! The Wang 4×4 Club draws members from all over the North East and beyond, including from Benalla, Beechworth, Corowa, Glenrowan, Milawa, Albury, Wodonga, Wangaratta, Goorambat, Tatong, Langwarrin, Romsey, Molyullah, Myrtleford, Mount Beauty, Mulwala, Yarrawonga, Stanhope, Violet Town, Melbourne, Rosebud and Overseas(England). The club is also affiliated with the South Coast Four Wheel Drive Club based at Wollongong, and the Four Wheel Drive Club of WA. Current members of the respective clubs are entitled to Reciprocal Membership rights. 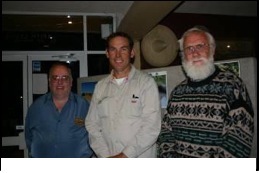 Wangaratta 4×4 Club celebrates its birthday and annual club awards each year with a dinner in May. Enter your email address to sign-up to the Club's Website and receive notifications of all new Posts (messages) including the Newsletter by email.